Both pharmaceutical labs are planning to create new medical diagnostics business in the Middle East and South Asia. The two leading diagnostic labs in Egypt, Al Borg and Al Mokhtabar, announced their intent to merge and create the largest medical diagnostics business in the Middle East and South Asia with an estimated market share of less than 10% in the Egyptian medical diagnostic market. The Chief Executive Officer of the combined group, will be the current promoter and Chief Executive Officer of Al Mokhtabar Laboratories, Dr. Hend El Sherbini, Professor of Clinical Pathology at the Faculty of Medicine, Cairo University. Al Mokhtabar Laboratories was founded in 1979 as a single laboratory in Cairo, Egypt, by Dr. Moamena Kamel, Professor of Clinical Pathology at the Faculty of Medicine, Cairo University. With an expansionary focus and under the leadership of Dr. Moamena Kamel and Dr. Hend El Sherbini, Al Mokhtabar evolved into one of the leading and most respected laboratory chains in the region, with a presence in Egypt, Sudan and Saudi Arabia. Founded in 1991, with its headquarters in Egypt, Al Borg Laboratories is the first medical-laboratory company in the Middle East to implement an efficient hub-and-spoke business model, allowing it to quickly become the largest privately owned laboratory group in the region. Through its central laboratories in Cairo, Amman and Khartoum and its several satellite laboratories across different cities, Al Borg offers extensive laboratory medical diagnostics services. 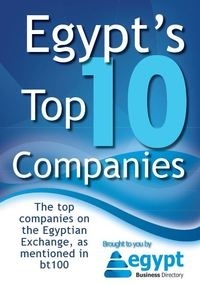 The company was listed on the EGX in 2006 and subsequently delisted in 2010 following its acquisition by Integrated Diagnostics Holdings in 2008 to focus on market expansion. "Today's announcement represents a milestone in the development of both Al Mokhtabar and Al Borg - and more importantly, in the regional healthcare sector," said Dr. Hend El Sherbini. "By leveraging our combined resources and specialist capabilities, we have created the largest medical diagnostics firm in the Middle East and South Asia. Together, we will continue to provide international best practice services, invest in innovation and focus on meeting the needs of all the communities that we serve." Ahmed Badreldin, Vice Chairman of Al Borg, said, "The partnership between Al Borg and Al Mokhtabar provides a range of powerful synergies that will significantly enhance our ability to provide world-class healthcare solutions to patients across a range of young, rapidly growing countries. Building upon our combined experience, the merged entity will be uniquely positioned to meet the needs of the over 5 million patients it currently serves - and to capture future opportunities in this key sector." Upon completion of the merger of Al Borg and Al Mokhtabar, the combined entity, Integrated Diagnostics Holding, will provide focused superior medical diagnostics services to more than 5 million patients annually through a network of 235 branches covering Egypt, Sudan, Jordan and Saudi Arabia. With over 3,000 group employees, the merged firm will cover all specialties of laboratory diagnostics and offer customers a wide range of diagnostics testing services that will materially impact patient and community well being. The central laboratories operated by the combined group are accredited by the world's most reputed accreditation bodies - including the College of American Pathologists (CAP), the Joint Commission International (JCI) and the European ISO 15189 - guaranteeing its customers the highest standards of quality assurance. The transaction will enable the merged firm to place renewed focus on its goal of being at the forefront of innovation and best-in-class practices in the medical diagnostics industry. By leveraging the strengths and resources of Al Borg and Al Mokhtabar, the combined entity will provide improved value to its customers by utilizing the specialist experience and capabilities of both firms, thereby creating compelling synergies.